Penelope Jackson has had a hard life. Her earliest memories were living with her crack-addicted adopted mother – who died when she was 8. Scarred by horrible memories of that time, Penelope moved to live with her aunt JoAnne. Life for the next almost-10-years went pretty calmly. She wasn’t popular in school, but she had her couple of good friends, and her loving aunt. But then everything changed. She found out that she’d been lied to her whole life. That she was a special immortal being called a “black five.” She was the only one who could save the world from an evil tyrant. I think this book would appeal to its target audience – perhaps 12-15 year old girls. Penelope is a unique, charming, and engaging character. The two romantic interests are handsome, powerful, masculine, mysterious, and totally enamored by her. This is also a nice story because the main character is a girl; but a loving, strong-willed, powerful one. Flawed, as well, which makes her likable. Most stories like this feature a boy as the magical-one-who-will-save-the-world (e.g. Harry Potter). Or if it’s a girl, she’s either a weak, needy one (yeah, I’m thinking Bella Swann); or a hard, unempathetic one (e.g. Tris or Katniss). 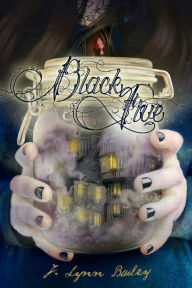 I’m thinking of this book as sort of a mix between Harry Potter and Twilight. It’s young, it’s clean, it’s magical, and it’s got that love triangle. So, yes, if you’ve got a 12-15 year old girl who loves this type of book, it’s definitely appropriate and enjoyable. Now I get to the part that’s harder to say, but this is a “fair and honest review” after all. This book was not for me. I doubt it’s really for many adults at all. Love triangles? Ick. Not only do they give me the willies because I feel like the girl likes one guy and leads on the other, but they always seem to be leading on the guy that I think is better (so it always comes with disappointment in the end). Oh, and the Edward Cullen creepiness factor? It’s in this one too. Except – oh change-up! – it’s in the guy that I actually like. 🙂 Another problem I had with this book is the lengthy journal section. The hand-writing was atrocious. The writer even admitted that his writing was atrocious. It was an incredible struggle for me to read. I think I might look into this novel, as I do enjoy books with strong heroines in them. And that cover! I LOVE that cover! Yes, it's creepy, but it's very creative, indeed.